Avocado is not only trendy on your toast for breakfast, it also has great benefits for the skin. 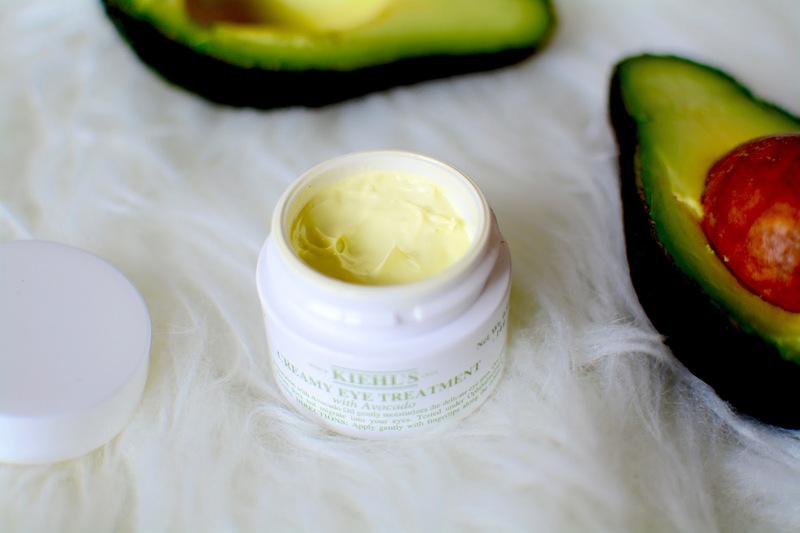 I have been using the Kiehl's Creamy Eye Treatment with avocado for more than a month now. After the party season and with the healthy habits regained, this is the perfect ally to keep the skin around the eyes hydrated and plumped. 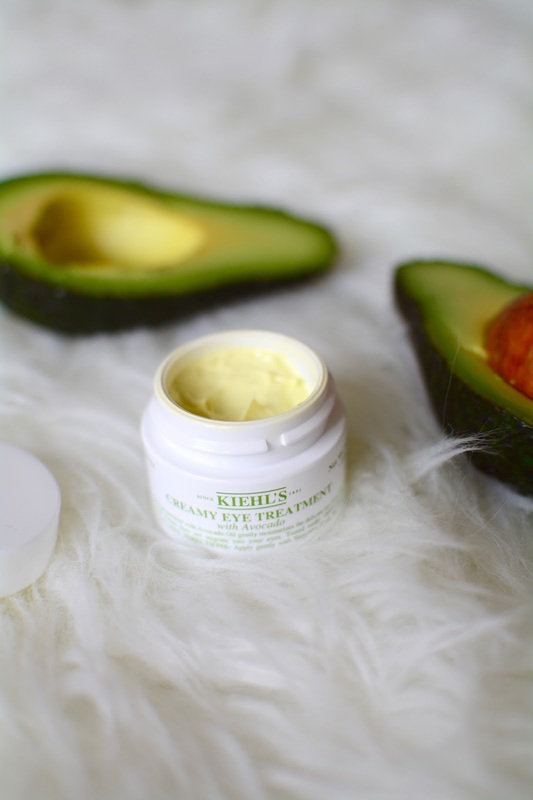 It's the first eye cream that I properly use, and this one has an excellent texture. It gets absorbed really quick. I enjoy the tightening effect and the juicy finish it leaves on the skin when I put it on. It also has a gripping effect for the make up I'll put on top of it, so it really helps the eye area to look better! 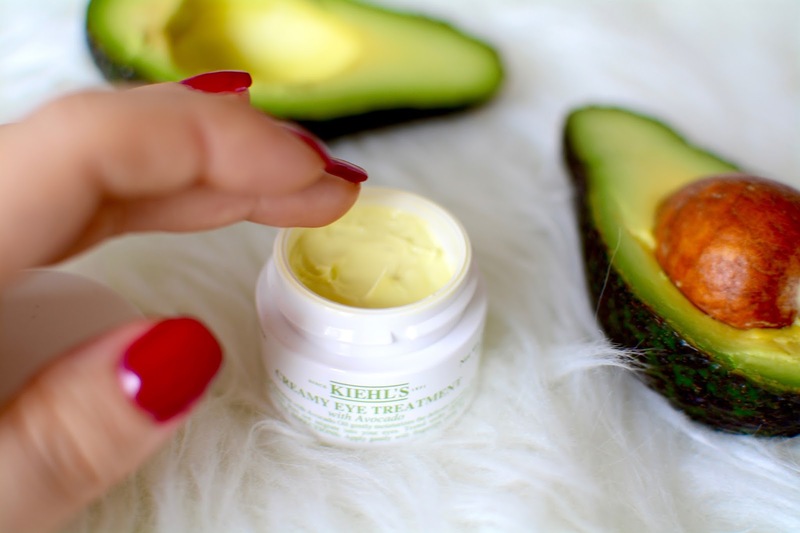 The avocado nourishes the skin like no other ingredient and within this formula, it doesn't get into the eyes. Another thing, is that it doesn't really smell of anything, which I find perfect for a product meant to be used around such a delicate area. It comes in a little pot, and you only need a tiny amount each morning. It's always better to apply with your ring finger so you don't drag your skin. All in all I've become a convert of this product and it will be in my favorites' drawer for a long time! You can find yours at Kiehl's.com here for £22.50.